Medical Cannabis refers to the use of the drug cannabis as a physician-recommended herbal therapy, most notably as an antiemetic. Cannabis has been used for medicinal purposes for approximately 4,000 years. Writings from ancient India confirm that its psychoactive properties were recognized, and doctors used it for a variety of illnesses and ailments. These included a whole host of gastrointestinal disorders, insomnia, headaches and as a pain reliever frequently used in childbirth. In the 1970s, a synthetic version of THC, the primary active ingredient in cannabis, was synthesized to make the drug Marinol. 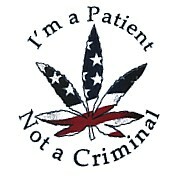 Due to the prohibition of marijuana however; it’s use as a medicine is restricted. However, recent Canadian government legislation have made it more available to patients. Patients are now able to apply for personal possession and even a limited cultivation license. AIDS – Marijuana can reduce the nausea, loss of appetite, vomiting from the condition itself and the medications as well. Glaucoma – Marijuana relieves the internal eye pressure of glaucoma, and therefore relieving the pain and slowing or even stopping the condition. Multiple Sclerosis – Muscle pain, spasticity, tremors and unsteadiness are some of the effects caused by the disease that can be relieved by Marijuana. Epilepsy – in some patients, epileptic seizures can be prevented with Marijuana use. Chronic pain – Marijuana helps to alleviate the pain caused from many types of injuries and disorders. Many obsessions or quick fixes to psychological problems can be eleviated by Marijuana as well. Many people eat because they’re depressed. If the depression is treated, the obsession to eat should be gone as well. There have been testimonies from opiate users that report an easing of addiction cravings. Some cannabinoids in cannabis are believed to have similar effects as ibogaine, a medication used to treat heroin addiction. 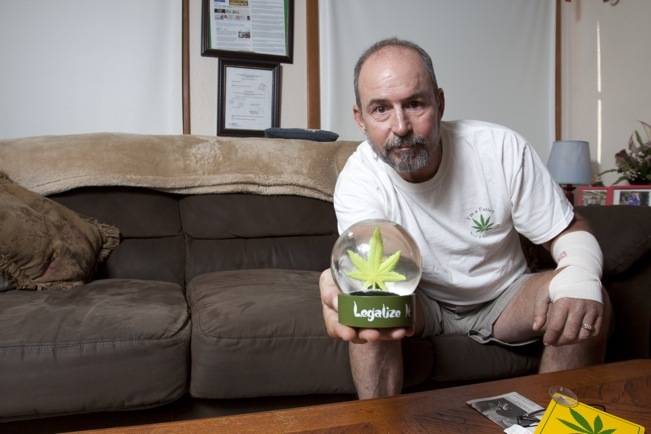 Marijuana can be used to enhance personal Spirituality. The herb tends to reveal your true self. It uncovers inner confusion and reveals your true direction – if you let it. Marijuana offers an effect that is both energizing and relaxing at the same time. This balanced effect will help some to think more clearly and more efficiently afterwards. “Marijuana can act as the loosening agent, so that whatever has been banned from consciousness may come cascading forth. To uncover our deceptions without our usual rationalizations can be unpleasant, an experience that has turned many psychologically fragile individuals away from marijuana despite its therapeutic catharsis.” – Joan Bello. As a broncho-dilator it is beneficial for asthma. It also reduces the interocular pressure and is indicated for glaucoma. Recent studies have shown the drug to be efficacious in treating mood disorders and mental health issues such as depression, post traumatic stress disorder, clinical depression, obsessive-compulsive disorder, panic disorder, and bipolar disorder. It is also indicated for premenstrual syndrome, hypertension, and insomnia. It is also reported to be an effective treatment for constipation and alcohol hangovers. A pharmaceutical product, Marinol, is widely available through prescription. It comes in the form of a pill and is also being studied by researchers for suitability via other delivery methods, such as an inhaler or patch. The active ingredient of Marinol is synthetic THC, which has been found to relieve the nausea and vomiting associated with chemotherapy for cancer patients and to assist with loss of appetite with AIDS patients.